and most remarkably, very minimal to no scars!!! Cost effective , can be done in the safety of the office surgical suite. Dr. Kevin Lam is Double Board Certified by the American Board of Podiatric Surgery. 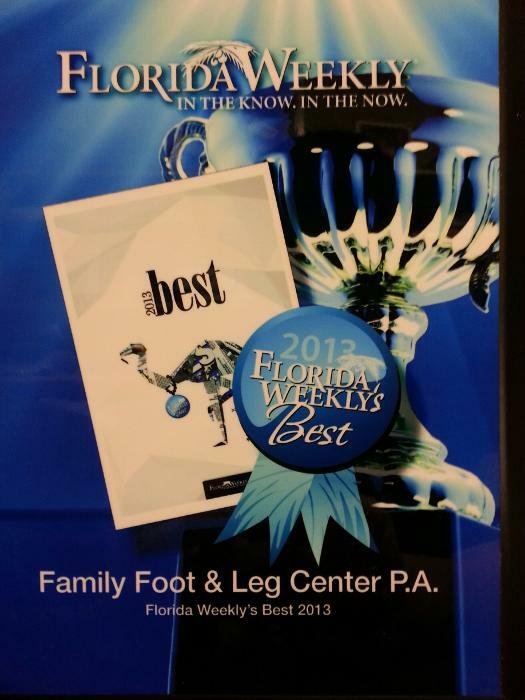 First Podiatrist in Collier County, Florida to achieve such double certification. 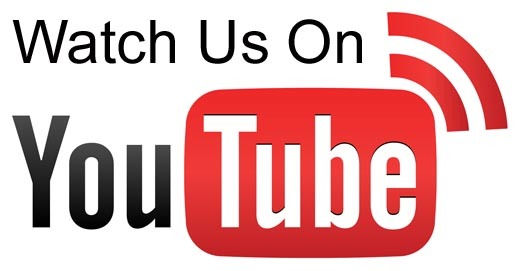 Only 900+ DPM's are double certified in the United States. Dr. Kevin Lam is a published health writer and national foot/ankle lecturer. Voted top doctor by Naples National Network Florida 2008/2009, Voted amongst America's Top Podiatrists 2011, he is also sought after for his expertise in minimally invasive bunion surgery technique. 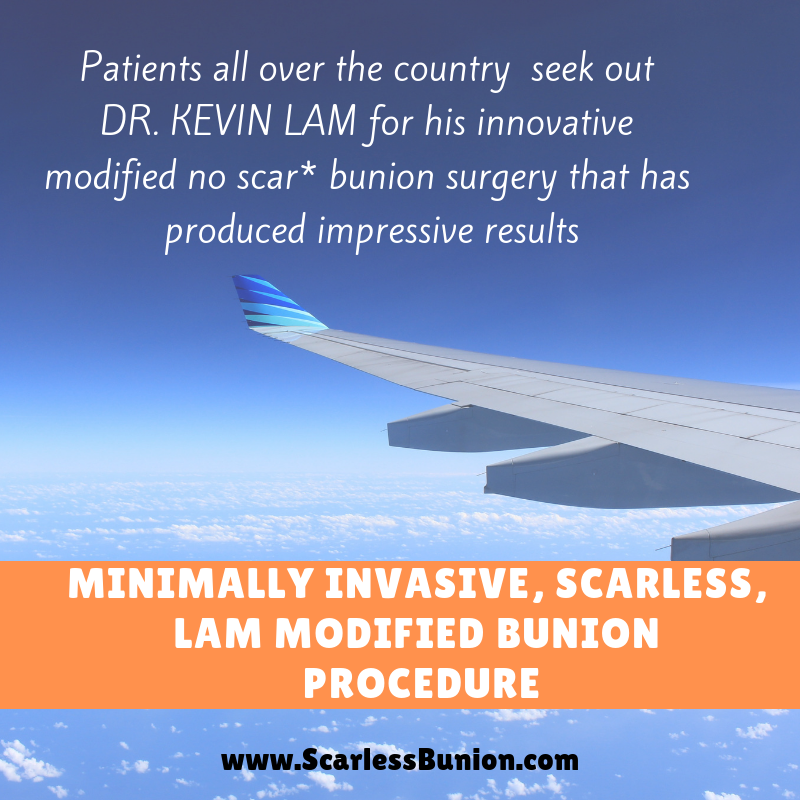 Dr. Kevin Lam Modified the technique to be done in the office and to allow for the quickest healing without any complications. 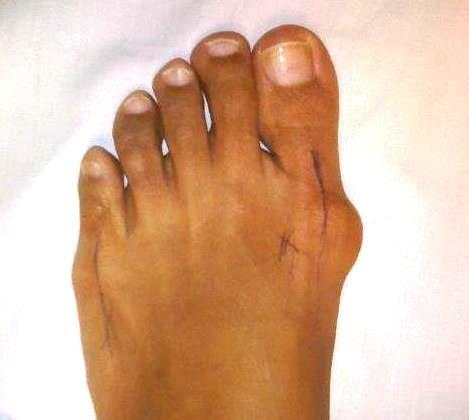 No post operative infection related to this bunionectomy to date due to surgical technique and procedures. 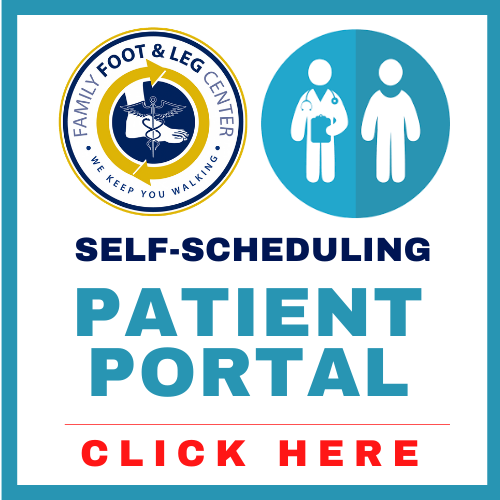 Bring any xrays you may have and medical records regarding your feet with you. Often consultations can be done on a Thursdays and surgery Monday at the Surgery Center, Physician's Day Surgery in North Naples. 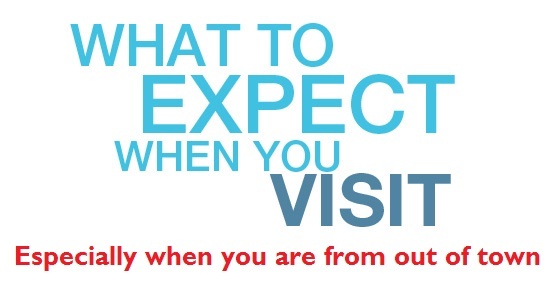 Call the office to ask for Zuly or easiest way is to email: Zuly@NaplesPodiatrist.com to check on Thursday consultation / surgery availability. Day of Surgery: you will need to fast for at least 8 hours prior to surgery due to use of mild sedation at the surgery center. Bring a driver with you, you will not be allowed to leave the surgery center via Uber, taxi, etc. Someone has to commit to staying with you for the next 24 hours after surgery. Sorry, lawyer / liability stuff. Week 2 after surgery: Dressing is changed. after this point you will be either in a surgical shoe or sneakers until week #10. There are no shortcuts to bone healing, even if you fractured your foot it will take at least 6 wks for healing. Can't fight with mother nature, but the scarless procedure does keep all blood supplies, nerves, tendons and other structures intact to allow for proper / quicker / uneventful healing. 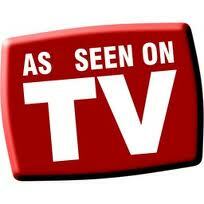 Recently, I have seen unscrupulous doctors advertising healing in half the time 3 wks. Upon further examination of their magical procedure, they are just taking off the bump, not moving the bone or deformity, hence the quick recovery. You can not defeat mother nature or go around her. Bone takes 6-8 weeks at least to heal if the doctor is doing a cut and moving the bone. Above is typical timeline, recoveries will vary based on patient's age and health. Consultation with Dr. Kevin Lam will give you a more accurate timeline. How long does it take for bone to heal? If I am a smoker what should I expect? Smokers can take up to 2 to 3 times the healing time for bone healing. You have to stop smoking for 1 month prior to smoking and 6 months after surgery, you will be signing this on your consent form. How long will it be before I can drive? Depending on the amount of swelling I let patients drive at 1 wk after surgery with a surgical shoe, but the BOOT is to be used for the 6-8 week mark. What happens after the 6-8 weeks in a boot? I will slowly progress out to a surgical shoe for walking for another 2 to 3 wks depending on your individual healing progress. When can I work out ? You can work out in about a week as long as you don't put more than 1 time your body weight on your surgical foto with the boot on. I have a desk job, can I go back to work on Monday if I have surgery on Thursday? Most patients can and do go back to desk jobs on Monday, just let me know and I can arrange for an early dressing change on Monday morning so you will be more comfortable at work. I work on my feet, when can I go back to work? Depends on the person and the job description. I have had surgeons and RN's back to work in 1 week after surgery with modified duty. It is still bone surgery even though it is minimally invasive in nature. No, lasers are more for skin lesions and burning of blood vessels and cutting of wet tissue. Limited use in bone work. 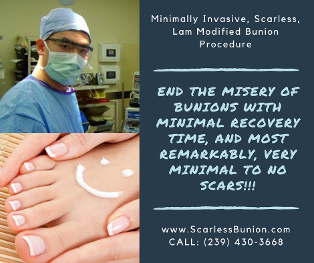 The Scarless bunionectomy uses precision cuts without heat generation in order to not kill bone, nerve and vessels which then allows for faster healing and least amount of trauma. What Is Bunion Laser Treatment? Lasers are excellent at treating a variety of cosmetic issues throughout the body. A laser is a powerful medical device that focuses light into a narrow beam, creating a high intensity light. It allows for ultra-precise targeted cutting. In the process, the heat of the laser coagulates tissue, and there is less bleeding -- a definite advantage over other conventional methods. Lasers, however, are best used for soft tissue and are known for their use in skin surgery and removal of soft tissue growths. The benefits in bunion surgery remain limited, however, because a bunion is a bone problem and not a skin problem. 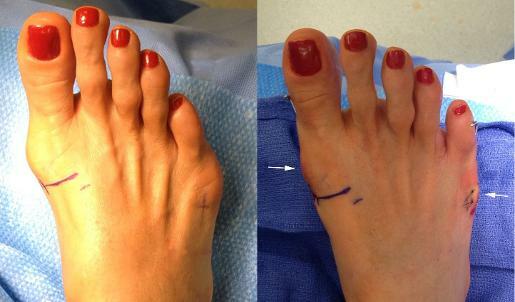 We offer both traditional and revolutionary minimal incision bunionectomy. Below shows a traditional bunionectomy. 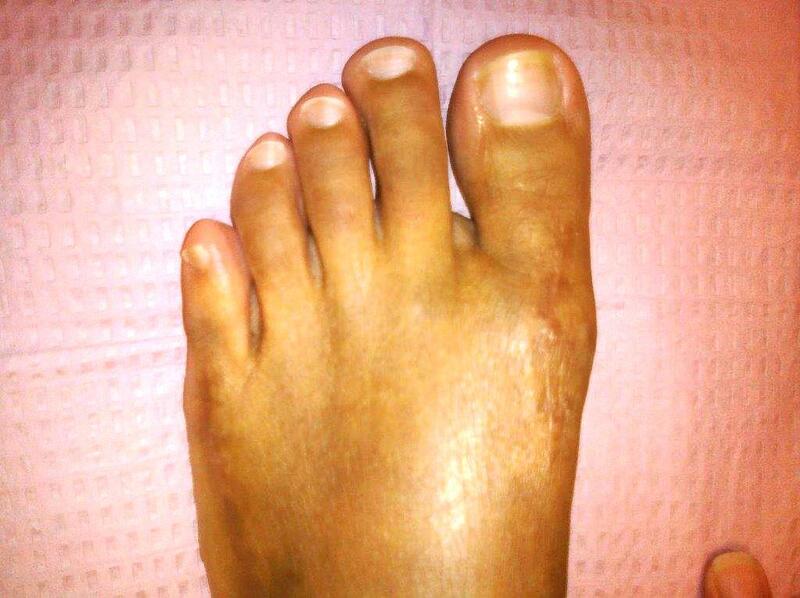 Above shows the usually bunionectomy incisions. The patient above is very happy with her results and healed well enough to return back to high heels in 8 weeks in a demanding job. Below shows the new technique immediately post op! Typically surgeons would not show you that due to long incisions and a swollen foot. So many people hear horror stories about bunionectomies. Not here. People come back in 2 months or even 2 wks to get the other side done. Picture proof, where is the scar on the left? All hidden and that was the worse of the two. We always address the worse side first. — at Family Foot and Leg Center, PA.
Bunions are more prevalent among women because female hormones soften the tissues. High heels and pointy shoes often exacerbate the problem. Bunion surgery has often been known as a very painful procedure with a long recovery period. It is important that a highly experienced specialist foot and ankle surgeon performs the operation. Minimally invasive bunion surgery techniques at Family Foot and Leg Center leaves minimal scar with reduced post operative pain and swelling. 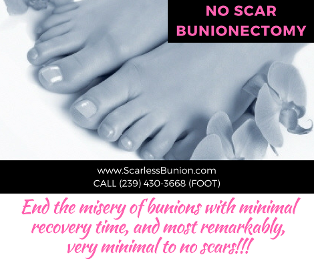 Can the scarless bunionectomy be used for failed bunion surgery? Yes, it can be used for revisional bunion surgery as long as the their is no arthritis present in the joint. 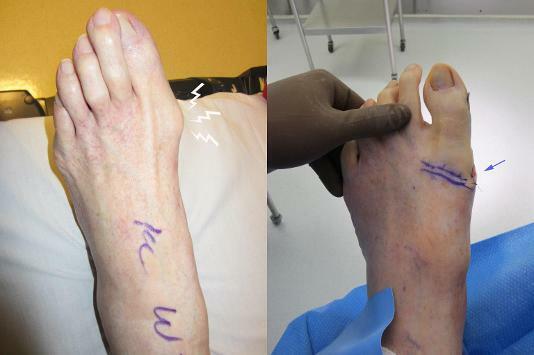 We have revised bunionectomies as long as 20 years post operative. Does the pin in the toe hurt? When is the pin removed? Pin is removed in the office at 4 wks after surgery, without need for local anesthetics. The minimally invasive technique minimizes collateral damage and pain is minimal to nonexistent. Most patients don't need medication beyond 3 days. I provide local anesthesia before and after surgery that numbs you up for up to 24 hours after surgery. 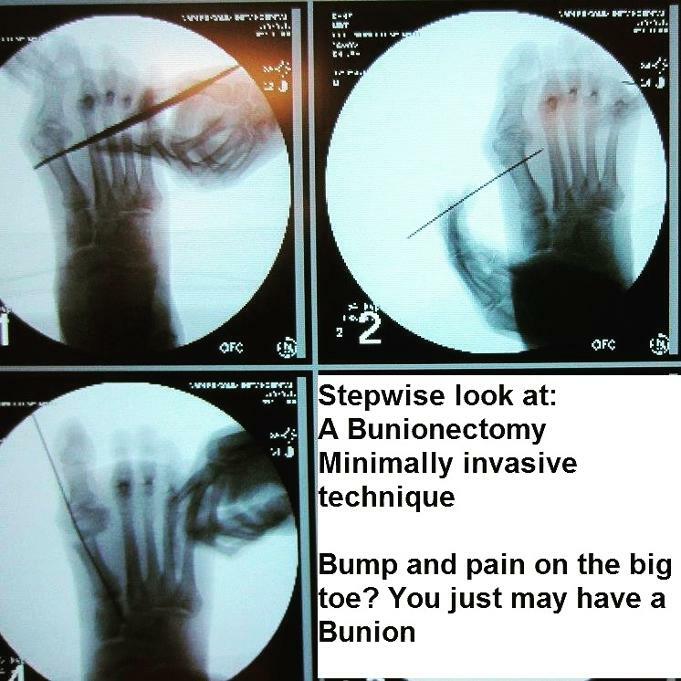 Can I walk after the bunionectomy? Then you get a surgical boot to walk after the first week, the boot is to take pressure as you heal the bone cut. What about these claims that I can get back into sneakers in one week after surgery? 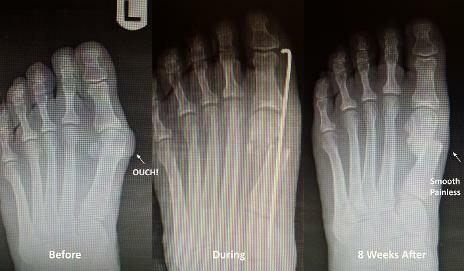 Any true bunionectomy with bone cuts takes 6-8 weeks to heal no matter the procedure. 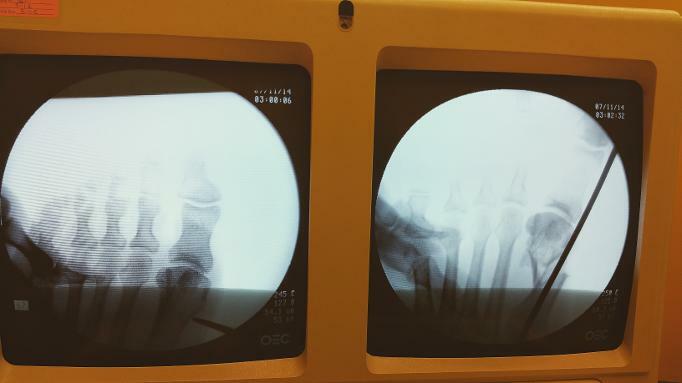 If you fracture a bone it takes 6-8 weeks to heal also. Some surgeons will do a simple bump and run, cutting the bump off procedure which will not last in the long run. Rather do it right the first time. Skin also takes at least 2 weeks to heal. Massive infections can happen in the dark, environment of a sneaker even at 1 wk post op. Not recommended. While we can not change the natural healing of bone and soft tissue, we minimize the collateral damage via the scarless approach to achieve quicker healing with least amount of complications. Any more questions please feel free to contact me via Facebook: Family Foot and Leg Center, PA an educated patient is a good patient. Back in 2011 you successfully operated my bunion on my left foot. I have been able to go back to dancing since then, for which I'm very grateful - Phoebe L..
My ugly bunion feet have always been a problem that I cannot wear fashionable sandals. Fortunately, with the minimally invasive bunion surgery offered at Family Foot and Leg Center, I was able to get back to having normal feet without pain. I would strongly recommend their procedure. --- Darla T.
My bunion has always kept me from wearing nice shoes and thus I was limited to closed footwear or running shoes. I came to FFLC with doubts as I have heard stories about how painful bunion surgery can be. Surprise! The procedure 'minimally invasive bunion surgery' delivers its promise. I had very minimal discomfort, recovery was quick, and my feet now look good as new. I can now proudly wear any footwear I like :) -- Jessica M.
Dr. Kevin Lam is awesome. I came to Naples Podiatrist office asking for a second opinion. My other foot doctor who did a bunion surgery on my left foot a couple of years ago gave me second thoughts about having the surgery on my right foot. Now I am glad I came to Dr. Lam for their no scar bunion surgery. 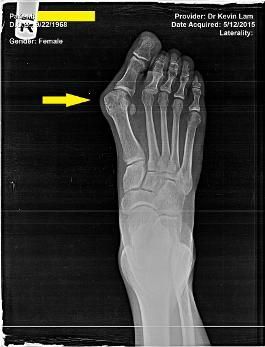 They operated on my right foot, removed the bunion, with virtually no pain and no scar! Also, everyone at his office and everyone that works with him at the clinic are the nicest doctor's staff I have ever met. I highly recommend Dr. Kevin Lam for bunion surgery. 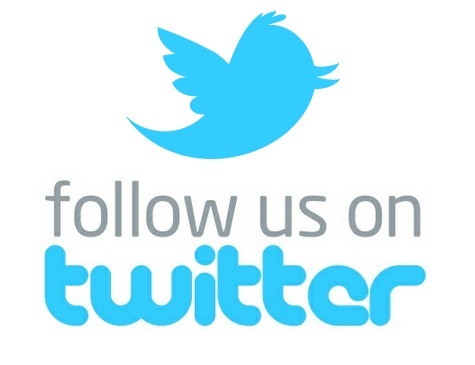 -- Carrie R.
If you have bunions, then Dr. Kevin Lam is the doc to go to. He did such a good job with removing my bunions and not only that, it was virtually no pain and no scar bunion surgery. He is the best and most knowledgeable foot doctor I have ever been to. 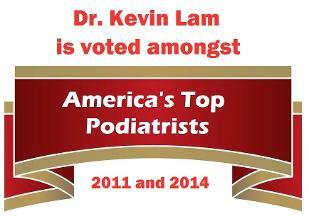 So I wasn't surprised to learn that Dr. Lam is named amongst America's Top Podiatrists. 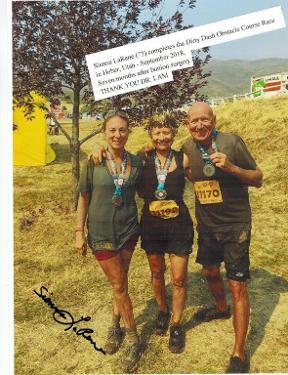 - Harold D.
I came to Dr. Kevin Lam because of a pretty severe bunion on my left foot. He was very reassuring before the surgery and explained the procedure to me. I was very well taken care of by the staff during and after the bunionectomy. The bunion surgery went extremely well, and in fact, even though they gave me pain medication, I only had to take it once when the anesthesia wore off. I am amazed that this is virtually no pain bunion surgery. Recovery was very quick too. I hardly even see any scar so for me, this is a "no scar bunion surgery". I highly recommend Dr. Lam for anyone wanting to have bunion treatment. 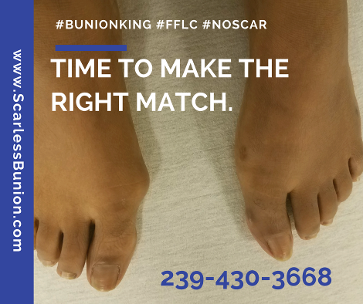 No reason to fear bunion surgery if you have the right doctor. I have travelled 200 miles to see Dr. Lam after reading about him on the internet and fashion magazines. I am a runway and swimsuit model of Jamaican descent. I happen to keloid also so the traditional bunionectomy would ruin my career. 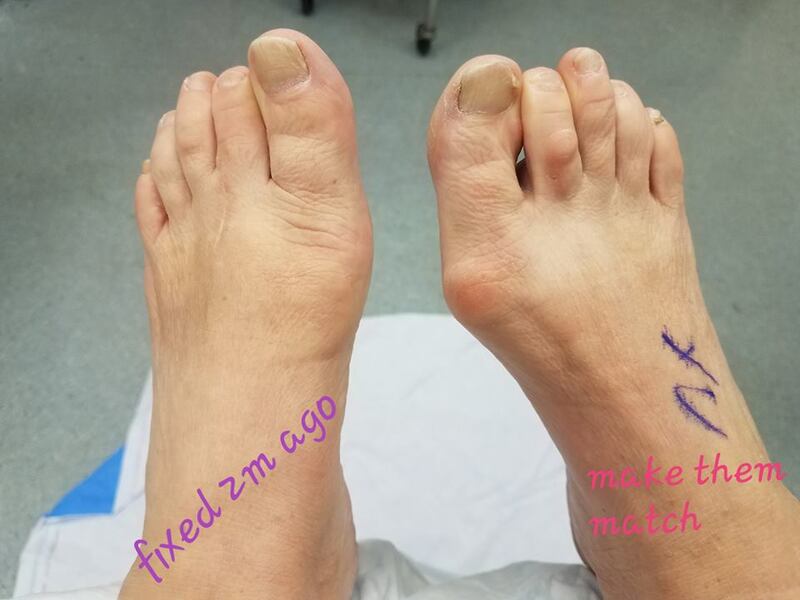 My consultation with Dr. Lam was reassuring and now 2 months after bunion surgery, I am back to work on the set and people can not notice my scars. Thank goodness for Dr. Kevin Lam, this innovative technique or I would have never been able to get bunion surgery and my modeling days would be coming to an end. Career saving surgery with Dr. Lam, Thank You. My foot is wonderful and my husband and I danced for 2 hours solid rock and roll at my 50th HS reunion this past Saturday night. No pain, no limping the next day! We are in lovely and cooler Vermont and thinking of you and my now dancable foot. My brother Gary says hi. He also knows about foot pain and the joy of being fixed by your skilled hands. See you at my next appointment. I’m back from my most amazing hiking/camping trip on the Olympic Peninsula in Washington (Go there). Just wanted to give you BIG BIG Kudos. I hiked 34 miles in 3 days- up and down 6 and 7,000’ mountains and my foot did AMAZING. No issues at all. No one can believe I was able to do that. Says so much about you and your work. Thank you thank you thank you. Will definitely be passing on the good work about you and your staff. All the best, — Thea M.
In late October I had a phone call from my daughter, who is a nurse in Naples, telling me that she had discovered a new Doctor in town, a foot surgeon whose work she greatly admired. She thought it was time for me to have my feet taken care of. For about 40 years I’ve been developing a dorsal bunion on my right foot, and similar problem on left foot but not as progressed. She said I should talk it over with Dad and decide. We did talk and I decided it was time to have it at least looked at, and meet this new doctor. We met, both Frank and I liked and trusted him, and I was scheduled for surgery on November 16th. This was a BIG decision for me as I had been procrastinating for all those years, did have legitimate excuses (a job and 4 kids to rise), but still an excuse I guess. I was fearful and apprehensive on the day of surgery, I told Dr. Lam I didn’t want to hear saws or drills, but all went well (at least on my side), I’m told the surgery was more extensive than originally thought, but I was out of surgery and on my new walker all within 3 hours. The pain, which was my big fear, wasn’t nearly as bad as I had thought. Pain pills these days are wonderful! I had a good caregiver, my husband who did it all, drove me places as needed, cooked, cleaned, did laundry, and even helped me shower for the first two weeks (I needed to cover the foot with a bag so I didn’t get it wet). I spend the first two weeks on my fanny, with my feet elevated, taking pain pills as needed, watching TV and reading. After two weeks things improved (and I began to like Dr. Lam again!!!). 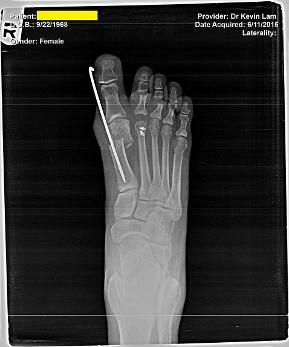 Once the pins were removed from my foot I was able to be up and moving a bit more, and day by day I could see the foot improving and healing, with special care given by my husband, and also I had a therapist. 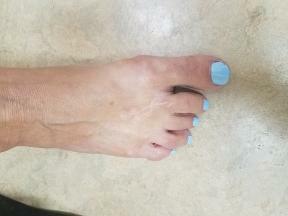 Due to bone grafts that were necessary, I had a fixator attached to my foot, which took some mental and physical adjustment, it’s not painful, but just “there” all the time and you have to watch your sheets and blankets so they don’t get torn, and of course you couldn’t get any kind of slipper for shoe on your foot. I was also to walk around the house without my walker, although I did take it with me if I went out in public, but it was more to protect my foot from someone stepping on it, something I DID not want to happen. For me the hardest part of this was the fact that it is so limiting for the first 3 weeks, your social life becomes non-existent, and you get bored. BUT finally somewhere around 4-5 weeks I found myself walking normally, able to get out and about more, and I decided that to live the rest of my life without that horrible bump on my foot is a blessing and one worth going for. I’ll finally be able to buy shoes I like rather than shoes that fit around my bunion. I recommend this surgery, although it’s not always a pleasant experience, it is well worth it in the final analysis. I also highly recommend Dr. Kevin Lam, a great surgeon, and a kind and patient man. I would also like to mention as an afterthought, that the therapist I had each time he looked at my foot said "what a great surgeon I had, he’d not seen as good a surgery"which reinforced my decision to go with Dr. Lam. When I look at my foot today I see a normal foot, I’m thrilled, and can’t wait to hit the shoe store!!! Very impressive staff from front office to residents and fellows. Everyone was very professional and fellows. Everyone was very professional and easy to communicate with Not to mention that Dr. Lam and his staff are very competent surgeons. He offered me a much more reasonable option and explained things to me at my level. 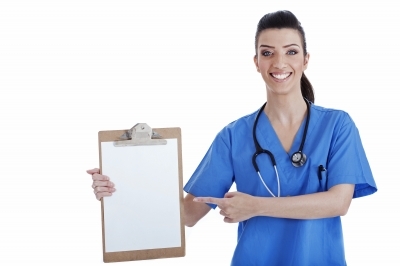 This is the way to run a medical practice. Can’t speak enough about. Dr. Lam. Dr. Kevin Lam of the Family Foot and Leg Center, P.A. has established himself as a premier podiatrist in Naples whose total expertise focuses on the foot, ankle, lower leg, and related injuries and ailments. As a specialist, Dr. Kevin Lam gets patients back on their feet and keeps them there. As a national academic speaker for the podiatric profession, Dr. Kevin Lam is recognized as a scholar in his field. What's more, Dr. Kevin Lam is the area's only Certified Third Generation Ankle Implant Surgeon. Some doctors are a step above the rest! 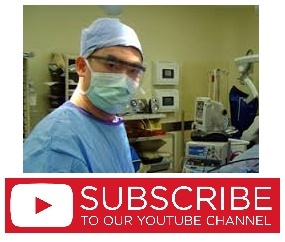 Dr. Kevin Lam is a surgeon faculty teaching this technique to surgeons around the United States and the world, as seen in GulfShore Life, Comcast TV, Naples illustrated, etc.